Who will dance with Bagel? 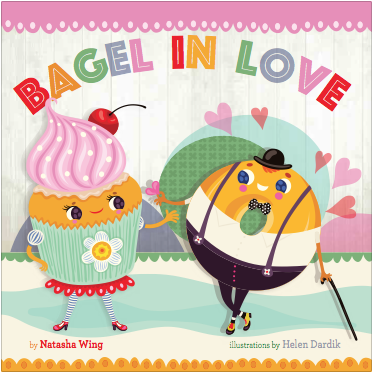 Bagel wants to find a partner for the dance contest but keeps getting turned down until he meets the sweetest girl in town and falls in love. The adorable story is filled with puns and the illustrations are pure eye candy! 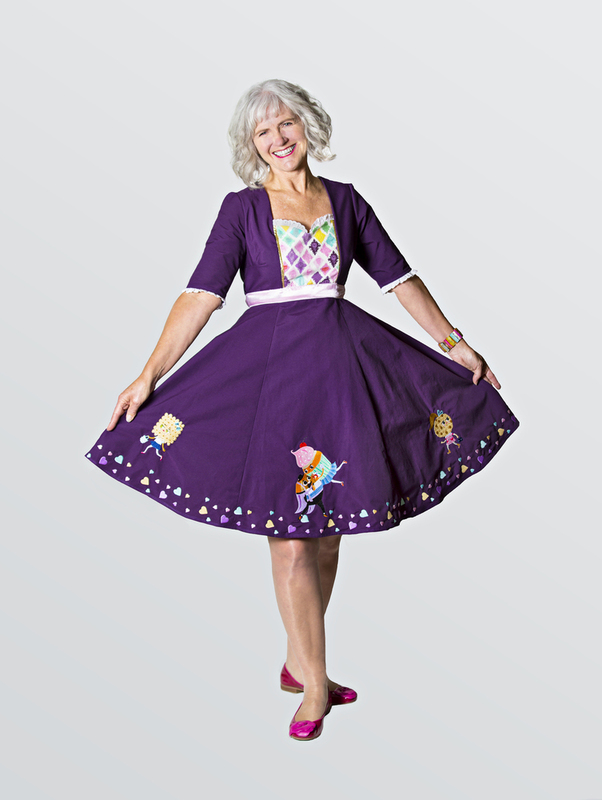 The dress I wear to book events inspired by the adorable characters in Bagel In Love. Dress designed by Cameron Utter. Check out these cute gift packages from Scattered Books! To order email: info@scatteredbooks.com or visit their website. 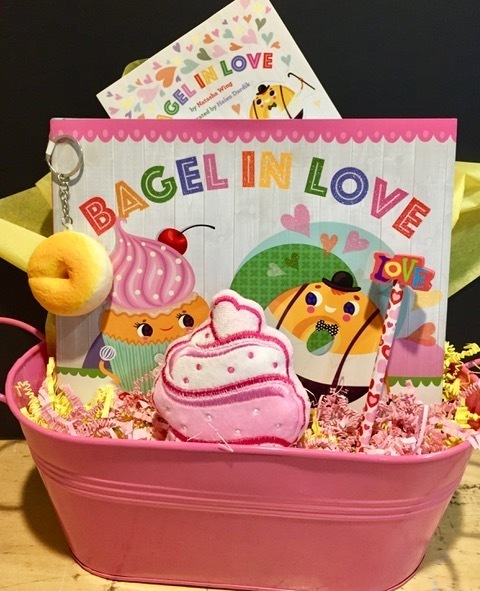 Hardcover “Bagel in Love” picture book, full sheet of matching stickers, plush cupcake, Love pencil/eraser plus bakery squishy keychain, all in a shiny pink bucket. Buckets are wrapped in cello and tied with matching curly ribbons. $36 includes shipping. 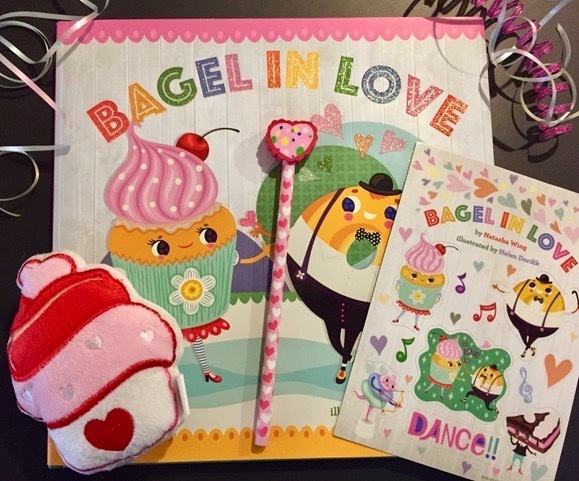 Hardcover “Bagel in Love” picture book plus a full sheet of matching stickers, plush cupcake and heart pencil/eraser, nicely packaged in cello with matching curly ribbon. $25 includes shipping.